Firstly I would like to thank Ultrasone for loaning me this sample for review, these have had over 50hrs of burn-in before reviewing. The Edition 8 EX come in a sleek matte black box, with a picture of the headphones on the front, and detailed info and specifications on the back. The box looks great, and is easy to open. Inside you will find the carry case, which is where you will find the headphones and accessories. The build quality is simply stunning, flawless in every way. The cups are a work of art, the earpads and headband pad are made of genuine leather, and you can see the CNC machining marks on the inner extender arms. Everything is superbly finished and put together; you won’t find a fault on them. 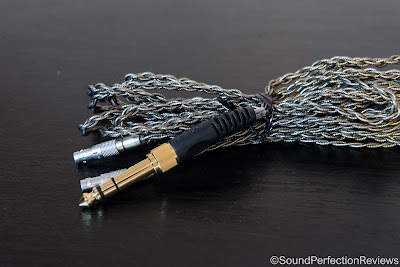 The cable is detachable and uses Lemo connectors. 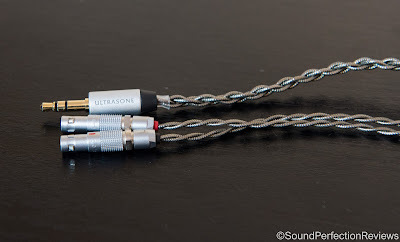 Talking about cables, both are 4-core braided and well relived on every section. 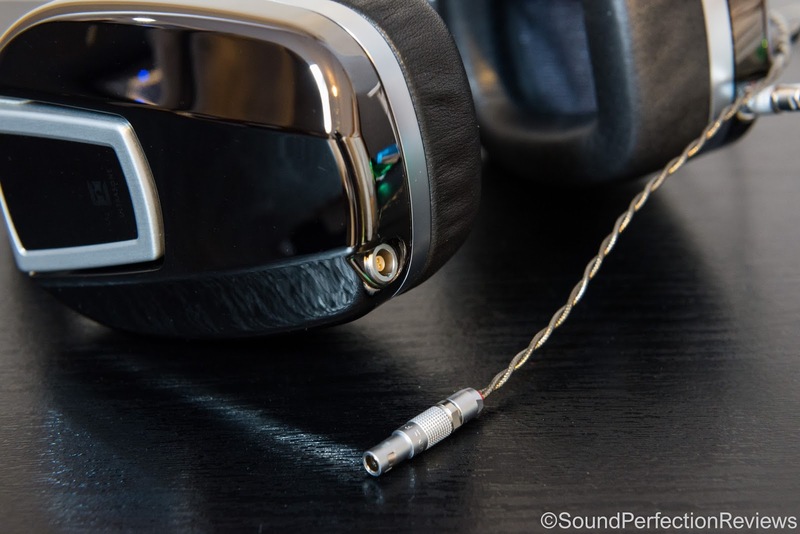 The connectors going into the headphones look fantastic and these headphones are built to last, they use a magnetic system to hold the pads on. Accessory wise you get an excellent hard case with pre-cut foam inside for the headphones to sit in, along with 2 cables. You get a short portable cable that terminates in a 3.5mm jack; you also get a longer home cable that terminates in a 6.3mm jack. Overall everything you need really, I can’t see anything else being needed. The Edition 8 EX are quite tight when fresh out of the box, but the pads do soften up a bit and become a lot more comfortable. 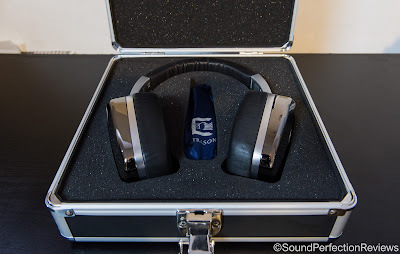 The earpads have ample space and depth inside, fully enclosing your ears, and the headband is a good shape. The headband has just enough padding, a little more would not go amiss though. They are surprisingly lightweight also considering the materials used, so they are comfortable for a couple of hours, more and your ears may get a little hot. Isolation is about average for a full-size closed back headphone, they do muffle outside noise but do not black as much as your average pair of IEM’s. They do not leak outwards being fully closed, so you won’t have to worry about annoying people around you. 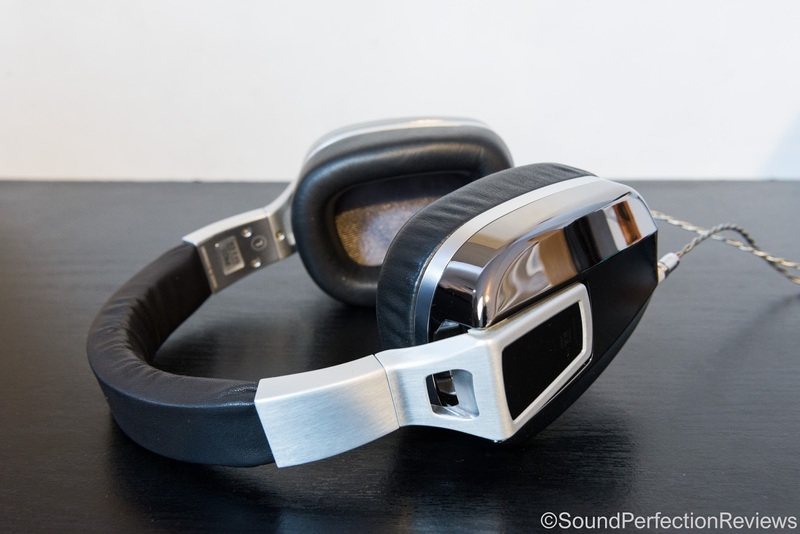 Lows: The bass one the Edition 8 EX is quite prominent, and they do lean towards the warmer side of sound. They do not have a lot of impact but there is a mid-bass hump that adds a bit of bloom to the lows. They sound better with more electronic music, as the emphasis on certain bass notes makes real instruments sound a little odd sometimes. Listening to tracks from Leftfield – Leftism you get very convincing directional sound and the bass is full and textured. So these work well with more electronic oriented music over heavier rock in my opinion. The extension is very good and they easily follow bass beats in tracks, just the mid-bass emphasis is a little too much for my tastes. Mids: The midrange is pushed just behind the mids and highs in terms of presence but they have good detail retrieval. There is a little added body from the lows, making them sound a little smooth, but you can still pick out plenty of detail. The upper midrange is slightly lifted in comparison to the lower midrange, bringing out a little more bite in vocals and guitars. They are not sibilant in the upper midrange, yet still have good energy in the lower treble. Female vocals sound a little better than male vocals, due to the dip in the lower mids slightly masking some details. Softer artists like Lucy Rose sound very good on these. Highs: The treble is very well placed in the mix, not becoming too hot and bright but still having good energy to prevent the Edition 8 EX from sounding too dark. Initial cymbal crashes are audible and they extend well, but the positioning within the soundstage is what stands out. There is good air, but the highs get pushed back in the mix a little too much when things get busy. Overall the highs are well presented and keep them from sounding dull, but don’t quite sparkle as effortlessly as you would expect. 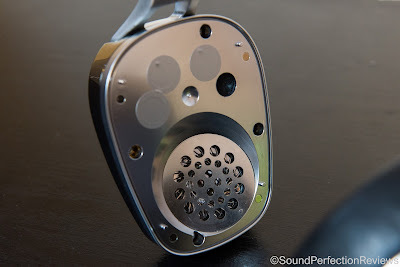 Soundstage is very good, their S-Logic® EX working very well to make a very immersive sound. The imaging is even better than the soundstage and you can easily pick out the position of instruments in the recording. Conclusion: Based on sound to price performance, the Edition 8 EX are not necessarily the best bang for buck, for the price I would expect better sound quality with more refinement. However the imaging and soundstage for a closed back model is very impressive, the whole package and build just scream quality and you have a luxury item. These can be used out and about and you will definitely notice what you are wearing. I think these are one of those luxury products that may not be the best in terms of audiophile sound quality, but excel in looks and feel. The sound is not bad, there is a mid-bass hump that introduces some bass bloom and resonance, but the midrange is mostly clean and detailed, and the highs well presented with good energy. 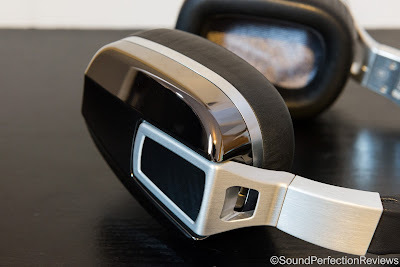 In my mind, the Ultrasone Edition 8 are the best headphones I've ever used with my iPod and iPad. When I first got these through B&H Photo Video, I couldn't get them off my head. I listened for hours and hours every day, enjoying my music and movies more than ever. Read the rest of this review if you want, but as soon as you get a set of these, you'll know exactly what I mean. They feel and sound great, and keep you wanting to hear more and more and more, regardless of the source. The Edition 8 sound absolutely fantastic, and they can play loudly directly from an iPod or iPad without using any amplifiers. They isolate from surrounding noise, and don't leak sound to disturb others.